We are aware that pilgrims need information on how to do the Way of Saint James by bicycle. That is why in Tournride we have created this entry with tips to do Santiago’s way by bike. It is necessary to be physically well-prepared before starting the Way of Saint James by bicycle. The average distance of a St. James’ Way stage is of approximately 50km. Some parts of the way can be highly physically demanding as, for example, the stage from Roncesvalles to Pamplona. The ideal is that for a few months before starting the way you exercise on bike gradually. That is, gradually increasing the intensity so that the body can adjust. In the event that you believe that it is too much for you to bike all the way, you can rent an electric bicycle to give you some help. Study every stage of the French Way by bike to not overwork yourself. Besides, you can research the most attractive tourist destinations or even places where to find accommodation, rest or eat something after a long stage. Unlike the pilgrims who made the journey on foot, it is recommended that those who do it by bike carry panniers instead of backpacks. Panniers can be loaded with everything necessary for Santiago’s way. There exist other services, such as the one that Jacotrans offers, to transport your luggage between the different accommodations of the Way. 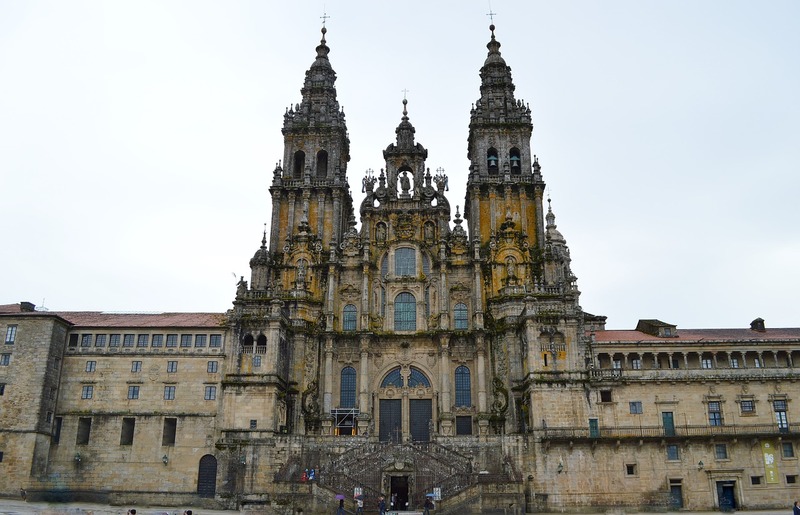 Another service that we offer in Tournride is to bring your luggage to Santiago de Compostela for when you finish the Way. Toiletry bag with everything you need for personal hygiene. The material you bring on your panniers can vary depending on the season you do the Way. Check the weather before starting. Choose the type of bicycle and a suitable equipment. The ideal to do the Way of Saint James by bicycle is to use a MTB (Mountain bike) for unpaved roads, while if you prefer paved roads there are trekking bicycles (electric and normal ones) which are perfect for this type of surface. The Compostela is a recognition given by the Church which certifies that a Pilgrim has completed St. James’ Way, either by bike or on foot, and for religious, spiritual or sport-related reasons. 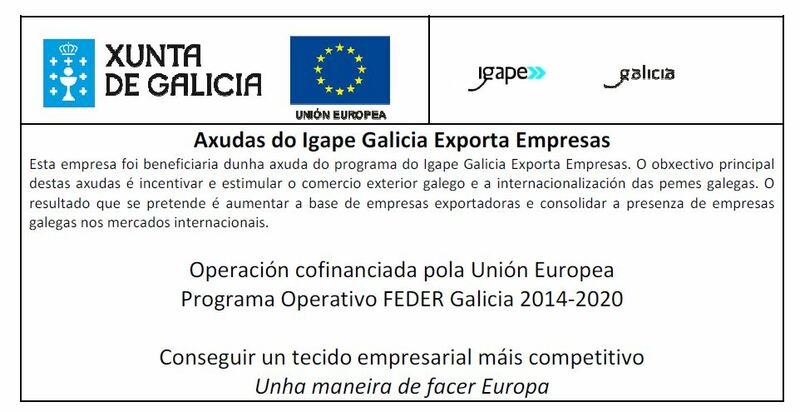 It is not necessary to be a religious person, this does not matter when it comes to obtaining the Compostela. 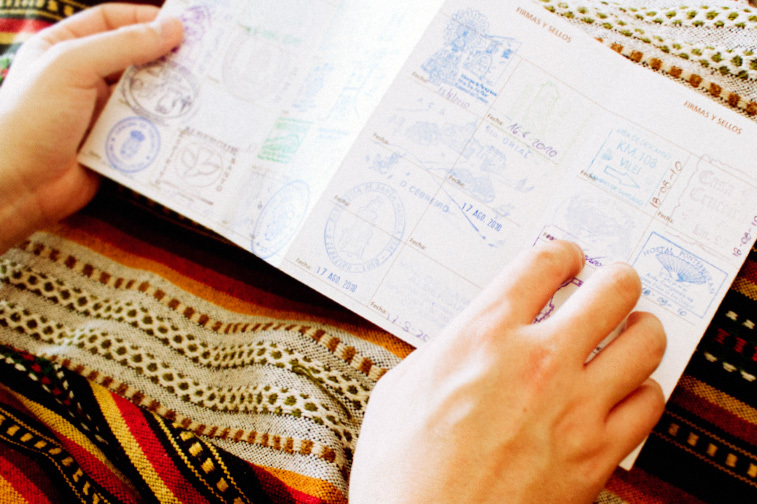 One of the requirements that you must meet to obtain the Compostela is to stamp the Credential at least twice a day in some of the places you pass by. This way you can prove that you have completed the Way of St. James. It is necessary to do the last 100 km of the road on foot or on horseback, and in the case of cycling, at least the last 200 km. Until 8:00 pm the pilgrims that do the Way on foot have priority in the hostels over those who do it by bike. This is due to the fact that pilgrims going by bike can travel longer distances in less time. So in case of overbooking in the hostels, they could move around faster to look for accommodation. Exemption from liability in the event of bicycle theft. 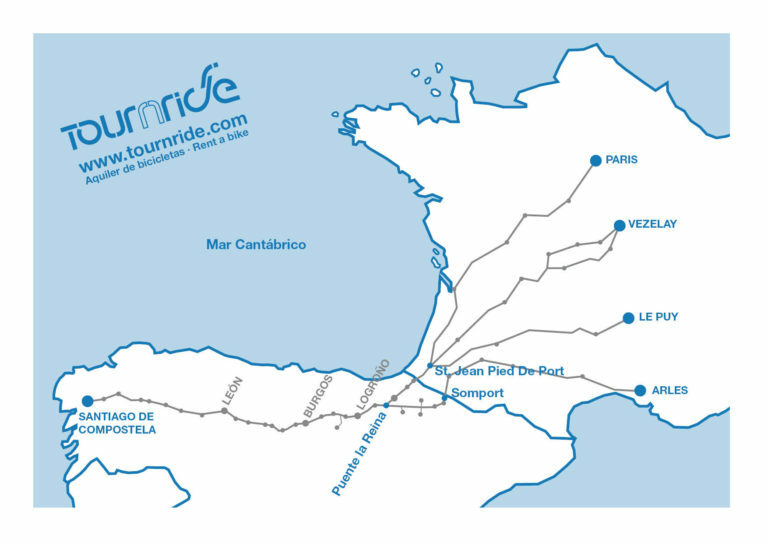 Tournride has extensive experience providing services to do the St. James’ Way by bike. If you need advice, feel free to get in touch with us.